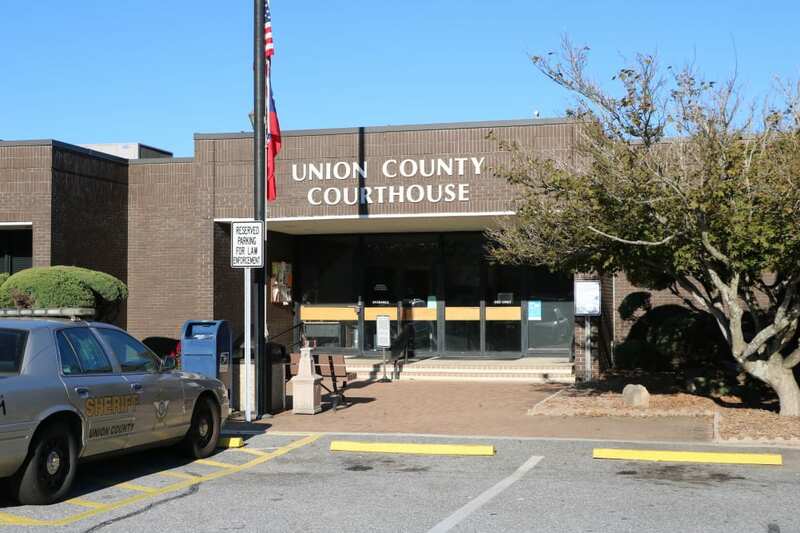 BLAIRSVILLE, Ga. – Lt. Russell Walker with the Blairsville Police Department confirmed a suicide occurred outside of the Union County Courthouse sometime before 11:00 a.m. Monday, May 21. Criminal Investigator Lt. Tom Mangifesta, of the Union County Sheriff’s Office, stated the victim was 59-year-old Elmore Martin Putney III, a Blairsville attorney who had been practicing law locally for over three years. Mangifesta reported Putney died from a single gunshot wound to the head. The lieutenant added the incident occurred sometime between when Putney was last seen on security cameras outside the courthouse at 8:55 a.m. and 10:45 a.m. when a call was received by the sheriff’s office from a passerby who reported seeing Putney lying on the ground outside the north lower parking lot entrance of the courthouse. Mangifesta also stated Putney was scheduled to be at the courthouse for a court hearing later that day. Following the revelation that a shooting had occurred, the courthouse was put into a state of lockdown. Mangifesta also said sounds of gunfire were never reported and stated a nearby berm and large transformers outside the courthouse entrance may have contributed to the inability of anyone in the near vicinity hearing the gunshot. Union County School Superintendent John Hill confirmed reports that all schools were also put on lockdown following the incident. Hill stated the school system received word at 10:54 a.m. from the Union County Sheriff’s Office of a shooting at the courthouse and the schools were immediately locked down as part of standard protocol for the schools. Hill added the lockdown was lifted at 11:15 a.m. after the school system received details as to the nature of the incident and it was determined there was no threat at the schools. The incident is being investigated by the Union County Sheriff’s Office. FetchYourNews will have further details on this as they become available. « Previous Article Short Takes - Are the Tea Party’s Moribund?